IBM Security AppScan Enterprise enables organizations to mitigate application security risk, strengthen application security testing and achieve regulatory compliance. 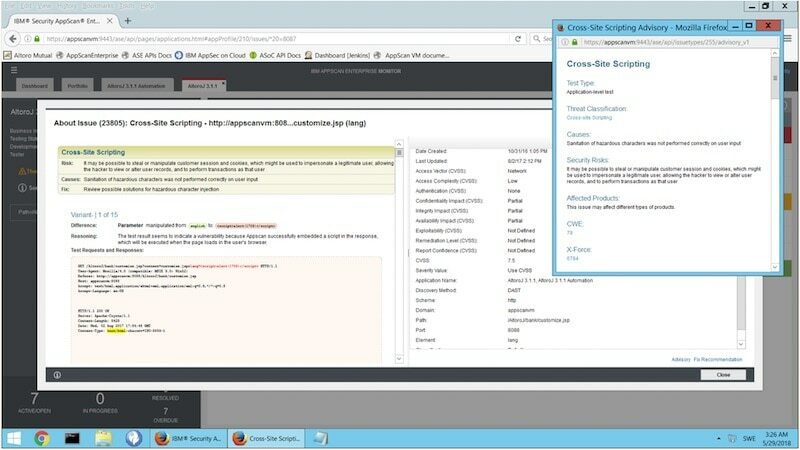 Security and development teams can collaborate, establish policies and scale testing throughout the application lifecycle. 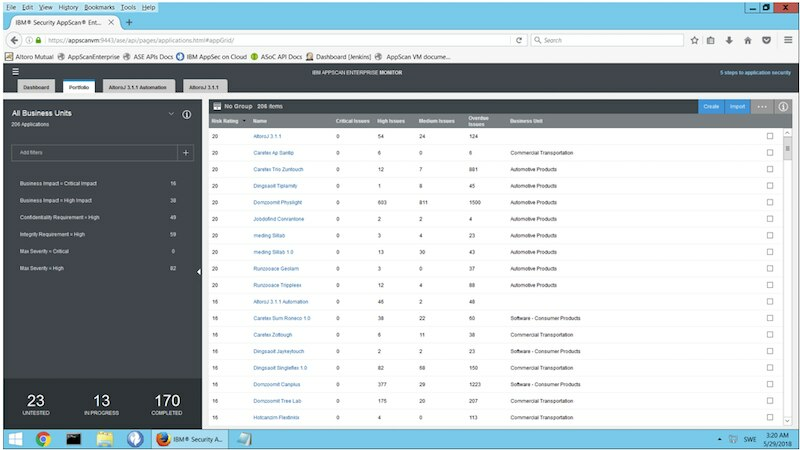 Enterprise dashboards classify and prioritize application assets based on business impact and identify high-risk areas, permitting you to maximize your remediation efforts. 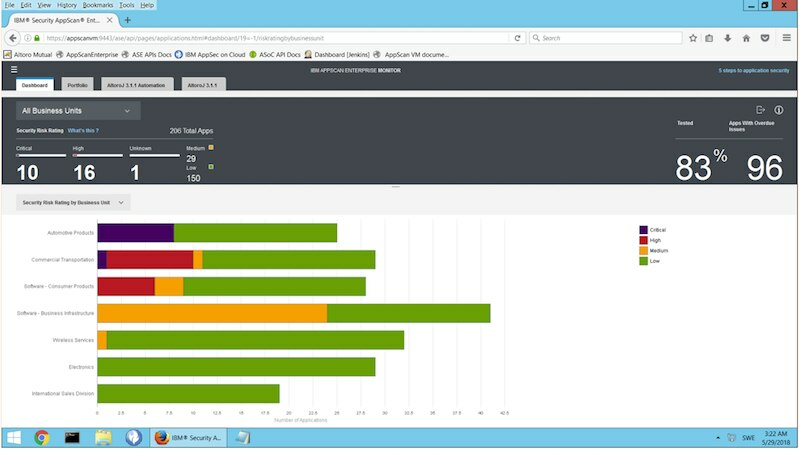 IBM AppScan Enterprise delivers scalable application security testing with enterprise level dashboards to provide visibility of risk and compliance. 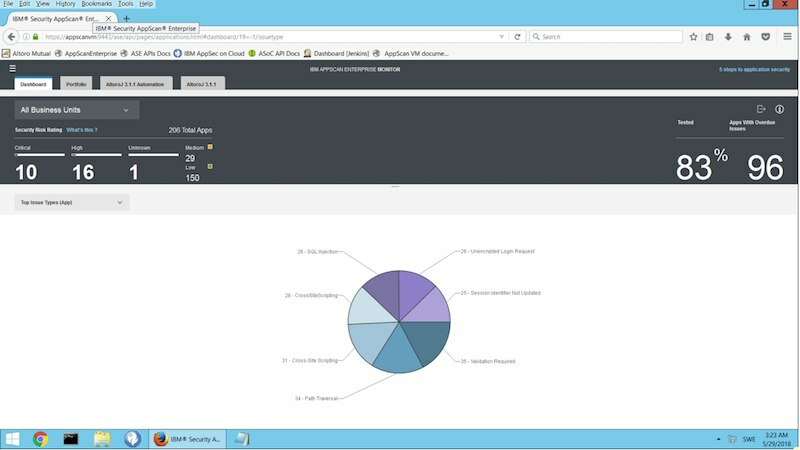 Provide centralized control with new advanced cognitive application testing capabilities, remediation insights, enterprise application security status metrics and key regulatory compliance reporting. Provide your security teams with the application security intelligence that’s required to make informative risk-based decisions. Deliver over 40 out-of-the box security compliance reports including PCI Data Security Standard, Payment Application Data Security (PA-DSS), ISO 27001 and ISO 27002, HIPAA, GLBA and Basel II. 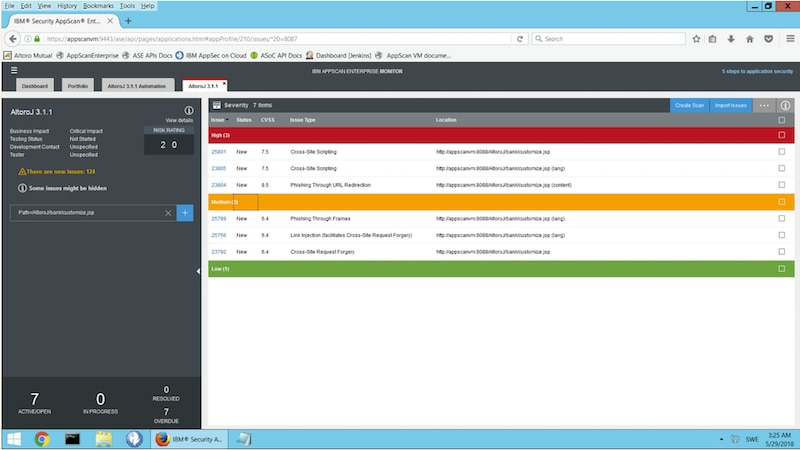 Filter results in the app security centralized reporting console.